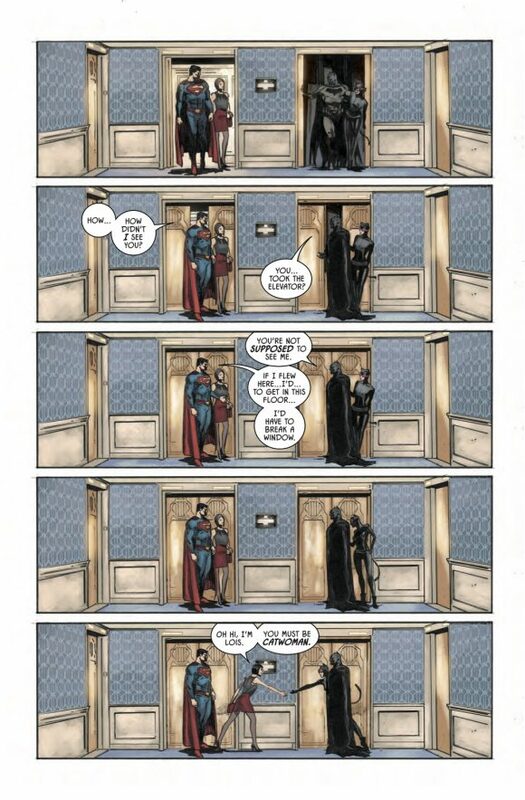 NOTE: This piece contains SPOILERS, including from Batman #36 and Batman Annual #2. How many Batman stories do you think have been told over the last 78 years or so? Thousands? Hundreds of thousands? Millions? It’s hard to come up with a decent estimate when you take into account all the comics, radio shows, serials, books, movies, TV episodes, video games, and even toys and coloring books. Then think about how tough it’d be to be a writer assigned to Batman, sitting at the keyboard, wondering what you could possibly do that had not been done before. Well, Tom King has unlocked the secret. King’s run, launched with DC’s Rebirth initiative a year and a half ago, has featured all the typical trappings of a Batman comic: Heroes and villains, wins and losses, new characters and refurbished ones — Joker, Riddler, Bane, Kite Man, Dr. Double X, Gotham and Gotham Girl. Standard stuff, well handled by a first-rate writer — but Batman’s had a lot of those. No, where King is breaking new, practically revolutionary ground, is his portrayal of Bruce Wayne and Selina Kyle’s relationship — the most sophisticated romance ever chronicled in a Batman comic. Batman Annual #2, art by Lee Weeks. Colors by Elizabeth Breitweiser. Over the last 10 years, Batman’s been in excellent hands. Grant Morrison gave us seven years of trippy head games that provided a surprising emotional punch. His time in Gotham overlapped with Scott Snyder’s six years of horror-inflected epics. Two tough acts for King to follow. But King is mining territory only touched on in the past — and never with this level of gentle nuance. Batman and Catwoman first made eyes at each other all the way back in 1940’s Batman #1, which King has made a crucial stepstone of his story. The idea of a romance, though, was pretty much brushed off in the ’40s and ’50s and, other than reprints, Catwoman was pushed out of the spotlight after 1954 until Julie Newmar sharpened her claws in 1966. But as was the case with most things show-related, a Batman/Catwoman romance was played mostly for laughs, largely through Adam West’s faux discomfort at Newmar’s saucy come-ons. It wasn’t really until the ’70s that DC made serious attempts at a Bruce/Selina romance: Len Wein crafted an entertaining, if soapy, arc that set the foundation most writers have built upon since. It’s a favorite of mine. There was also the classic Brave and the Bold #197, written by Alan Brennert, that tells the story of how Earth-Two Batman and Catwoman became a couple. In the decades since, writers have dabbled in the relationship, usually with a How Long Can This Possibly Last? undercurrent of impermanence. 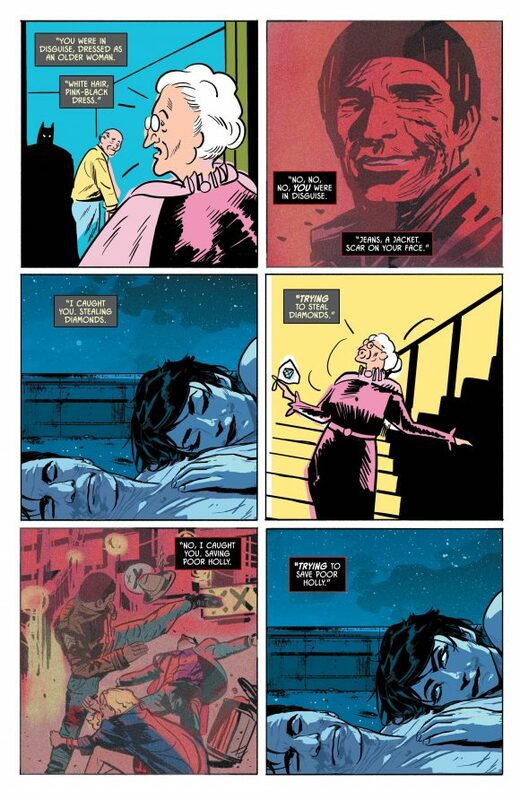 There are plenty of good stories in there but King’s relying on it all — particularly that first 1940 encounter, as well as Frank Miller and David Mazzucchelli’s Batman: Year One — as the subtext of a relationship between two people who have been to hell and back together and against each other, who have a shared experience only the two of them can really understand. That’s the kind of relationship that breeds true love, and that’s the story that King is telling. Remarkably, in the just-released Batman Annual #2, King gives us the ending to the story — a Death of Batman tale that doesn’t feature bombastic battles against Mutant gangs or visions of the apocalypse. Instead, it’s an affecting, deeply moving elegy: Batman doesn’t die in battle (because no foe could defeat him). He dies from the one thing he cannot beat: His mortality. He simply ages out and when his time comes, he’s surrounded by his family of Robins and surrogates and, most tellingly, at the side of the only woman who ever really knew who he was. Batman Annual #2, art by Michael Lark. Colors by June Chung. That story doesn’t work at all without what’s come before, not just in nearly 80 years of publishing but more so because of King’s compassionate storytelling across 18 months: Bruce and Selina’s rooftop “pillow” talk; his anxious proposal; his painful confession of what happened at the end of the so-called War of Jokes and Riddles; the lion’s share of Batman Annual #2, which chronicles their earliest encounters; and, King’s best regular issues yet, Batman and Catwoman’s current Let’s Tell Everyone Tour. Art by Clay Mann and Seth Mann. Colors by Jordie Bellaire. 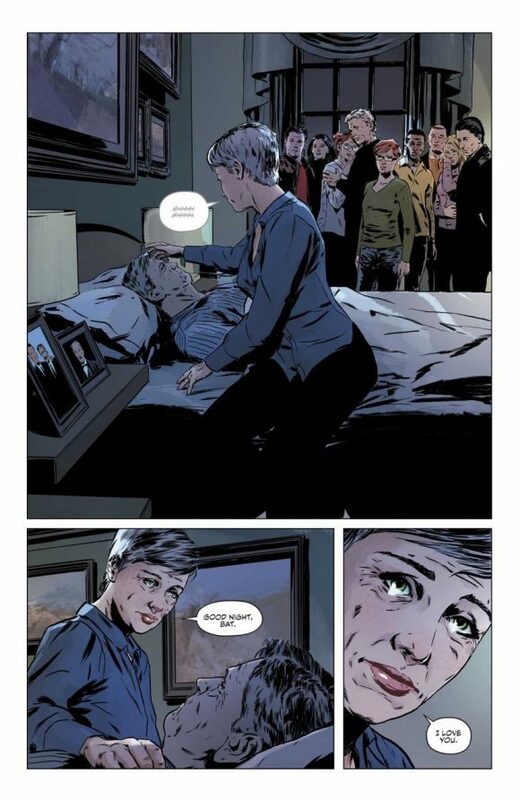 Through all this, King has been gifted with a coterie of artists who wonderfully complement his storytelling vision, artists who are adept at balancing the quiet moments against the inevitable Big Action, among them Mitch Gerads, Mikel Janin, Joelle Jones, Clay Mann, Lee Weeks, Michael Lark, June Chung and Jordie Bellaire. The beautiful part is that, even though we’ve been given an ending, we actually don’t know how the story will end: Will they go through with it? How long will it last if they do? The ending King provided in the Annual may be merely wishful thinking, a fantasy, a writer seizing an opportunity to show how he would finish things if he were really allowed to. Because, as we know, Batman never really dies. Yet that’s the mark of an outstanding writer: Mainstream comics are inherently predictable. If you can keep a reader guessing, you’re more than accomplishing your mission. Great post Dan! I was just comparing this issue with Brave and the Bold 197 on instagram. That issue is all about Batman accepting his fear of being alone and I think King’s Ideas are similar but handled in a completely different way. We are definitely getting a treat with King’s Interpretation of this relationship. Well said! King is in the midst of my favorite Batman run of all-time, and it’s in large part due to his brilliant focus on the BatCat relationship. He is writing them better than anyone has before. I love the way King utilizes both versions of the first BatCat meeting in his storytelling, by having Bruce remember Batman #1 and Selina remember Batman: Year One. Batman Annual #2 is by far my favorite “final Batman story” (in fact, it’s right up there with “Rooftops” as my favorite Batman comic book story of all-time)! 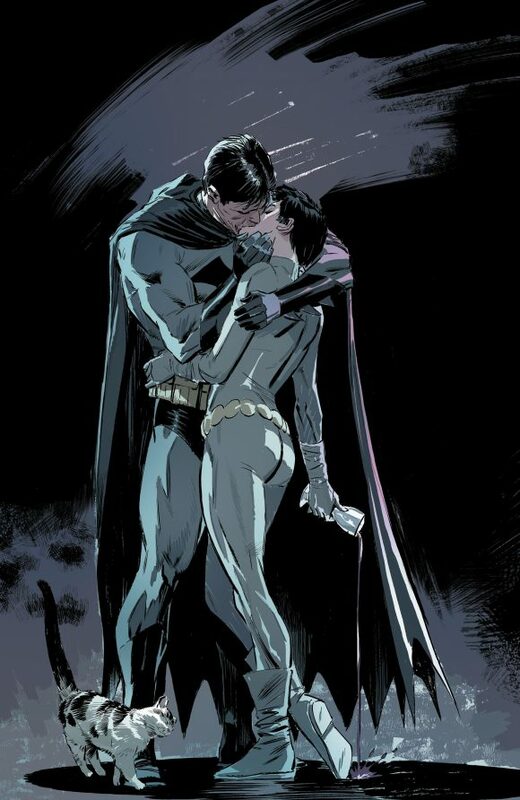 That’s how I want Batman and Catwoman’s (my two favorite fictional characters of all-time) story to end. King has given them the happy ending in the comics that Christopher Nolan gave them in live-action five years ago. King has been coy about whether Batman Annual #2 is actually canon, but even if it isn’t, that’s my headcanon for how Batman and Catwoman’s story ends. I was bawling by the end, but I was happy. 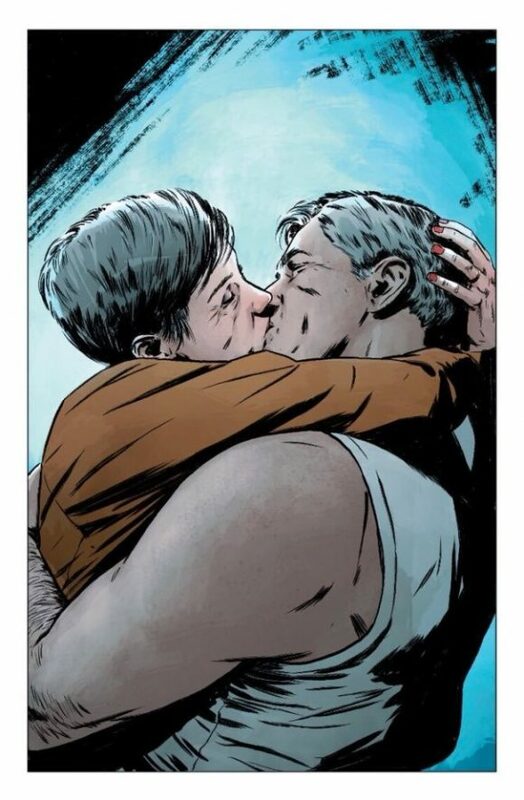 It was sad seeing Bruce pass away, but he and Selina got to live happily ever after and grow old together. I would argue that Batman #14 and #15 (“Rooftops”) are King’s best “regular issues” yet, but you certainly can’t go wrong with the first issue of “Superfriends”! I cracked up at Lois’ introduction to Catwoman as well! Thanks, Jordan! You make excellent points as well!